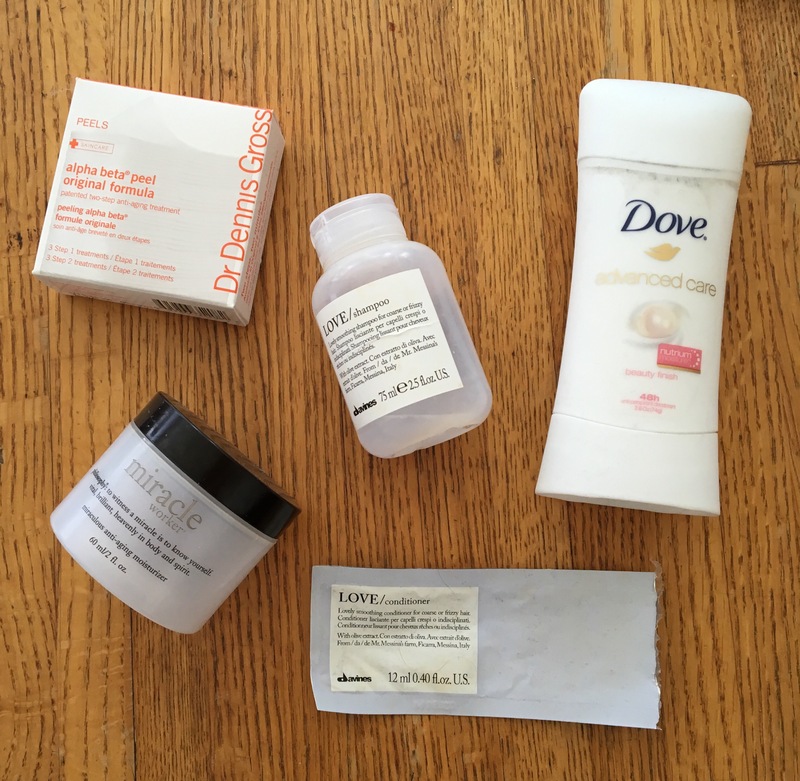 This entry was posted in Beauty, Body care, Empties, Hair care, Skin care, Uncategorized and tagged davines LOVE shampoo & conditioner, Dove Advanced Care Beauty Finish Anti-perspirant Deodorant, Dr. Dennis Gross Alpha Beta Peel, Empties, philosophy miracle worker, winter beauty. Bookmark the permalink. I love those AHA treatments! I was a little weary since I’ve tried some AHA products and some have been good and absolutely horrific. Those little Dennis Gross ones though…on the good side.